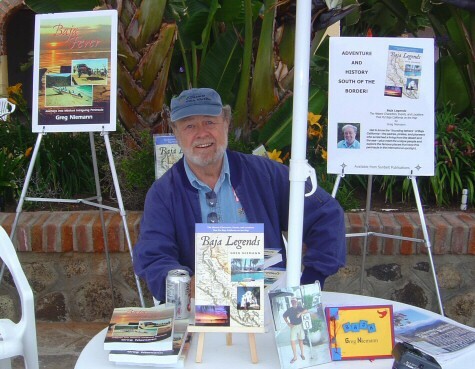 "Greg Niemann, long-time Baja California journalist and author of Baja Fever, shares his extensive knowledge of the peninsula--its colorful past and booming present--in this easy-to-read reference book. "Get to know the 'founding fathers' of Baja, the padres, pirates, and pioneers who scratched a living from the desert and the sea, plus the world-famous faces and still-famous places that keep this tiny finger of land in the international spotlight. " "All of the pertinent history and lore, every one of the amazing Baja stories, fill the pages of Baja Legends to overflowing and make it a 'must have' for seasoned Bajaphiles as well as those who are planning their first trip south of the border." While I found the writing style simplistic, fifth-grader-like, the book is a great guide to read as you are bumping along the Transpenisular. It highlights points of interest and trivia that make the traveler more aware of and in touch with the history of Baja. It also provides a brief overview of the pre-history and Mission history of the peninsula which are essential to an understanding how Baja evolved the way it has. I used to live down in Baja and this book sure makes me want to go back. The author has put a lot of information--history and the like--in his book, but what really comes across is the fun he's had traveling there, especially the people he's met. He writes about all the people I remember, like Mama Espinoza and the Reyes' family, but also about places I haven't been, like down in the East Cape. Can't take a vacation yet this year--guess I'll just reread the book!